Bitser is a small and straightforward archiving tool which still manages to include some unexpected features. The program initially works much like the competition. Install Bitser, it will optionally add an entry to your Explorer context menu, then you can extract the contents of any archives in a click. 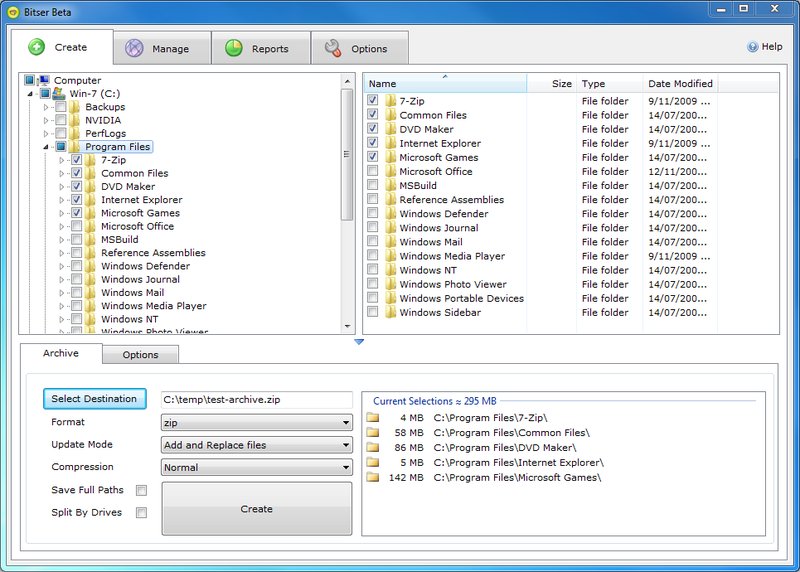 The program's Create tab also makes it look and feel a lot like a simple backup tool. You're able to browse a folder tree, check boxes next to the files or folders you'd like to protect, enable various settings (including AES-256 encryption), and more. There's also a degree of malware protection with an option to check archive files at Virustotal.com. And other tools include a very simple password manager, and an MD5/ SHA checksum calculator, the latter being accessible from the Explorer right-click menu. Some of these bonus extras are a little variable in quality. The password manager in particular needs work, for instance. And the program would also benefit from a portable option. Bitser is a likeable tool, though, and its wide file format support for extractions mean the program could be very useful. If you're looking to replace your current archiving tool then this may be worth a try. Bitser is an easy-to-use archiving tool which can extract a lengthy list of archive types, and includes a few bonus features as well (although they're of variable quality).